For this new build property, our uPVC sash windows were the perfect solution. For this long standing house building customer of ours based in Sevenoaks, Kent, our uPVC sash windows have become a staple feature of their new builds. We have carried out many installations of various products for this new home builder across the South East. 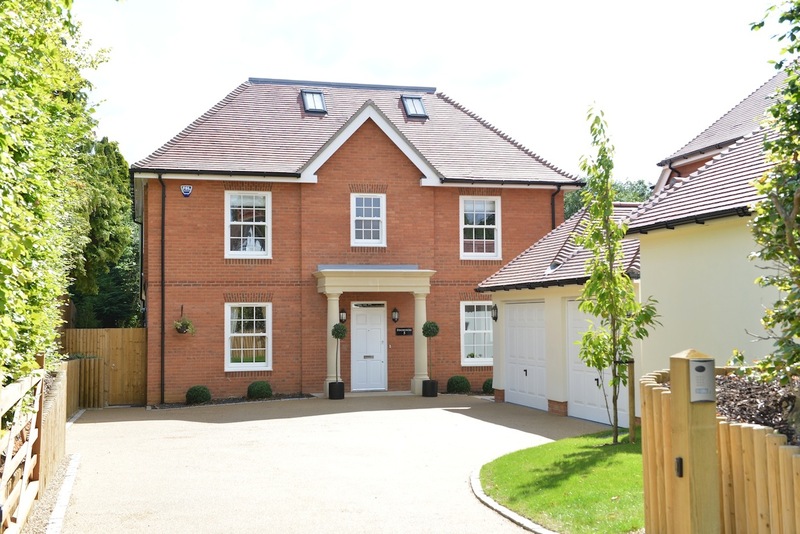 For example, we installed our Residence 9 windows into this Sevenoaks new build and our timber sash windows into this grand new build, also in Sevenoaks. This property in Sevenoaks arrived with us at the same stage as all of the others; out to tender. The specification listed the product to be installed as ‘sliding sash windows’. As we offer both timber sliding sash windows and uPVC sash windows too, and the two come with vastly different price tags, we were sure to check which it was first. They confirmed that the project was on a tighter budget for the end client and it was to be uPVC sash windows. To maintain the traditional or ‘Georgian’ look, we were also required to fit astragal bar grids on the windows. These form the white squares on the glass that can be seen on the photo. Some clients feel that without the astragal bars, the windows can look a bit plain. When the aim is to create a traditional look and feel, they are certainly advisable. From what was on the architects drawings to what was ordered, there was almost no design changes, which is quite rare with the large range of products out there. Our surveyor Terry measured all of the apertures and all of the windows went into production. This process took 2 weeks and we arrived on site to install 3 weeks after surveying. Everything was installed over the space of 2 days, fitting in perfectly with the timeline of our customer and the other trades booked in.